Pilates & Barre Instructor / Staff Member, Encino, CA. Megan discovered her passion for Pilates while touring as a professional Irish dancer. She spent many years on world tours with companies Celtic Legends and Rhythm of the Dance, where she performed as lead female dancer. During this time, she found Pilates to be a great tool to help her dancing and overall fitness. She still enjoys choreographing for TV shows, music videos, and stage performances, and now teaches a local Irish dance class in Santa Clarita. 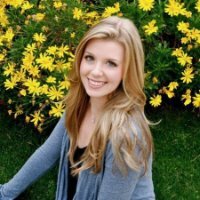 Megan has a degree in Kinesiology with an emphasis on Exercise Science from California State University Northridge. She continues her education about the human body on a daily basis, learning much from the Master trainers at Pilates Sports Center. Megan brings her combined passion for dance and fitness to Pilates Sports Center, where you can find reformer classes specialized for dancers in addition to her other classes. Though dance is her specialty, she really does enjoy training clients of all ages, shapes, and abilities. It is from these beautiful clients that she learns the most. Megan hopes to bring health to anyone who walks through our doors!